Happy New Year!!! Now that the holidays are behind us it’s time to follow through with those new year's resolutions! You weren’t the only one to put on a couple extra holiday pounds! Happy New Year!!! Now that the holidays are behind us it’s time to follow through with those new year's resolutions! You weren’t the only one to put on a couple extra holiday pounds! Especially with your relatives sneaking items from your holiday feast to some four legged creature under the table! So what's stopping you from getting out there with your pup and doing a few laps around the block! 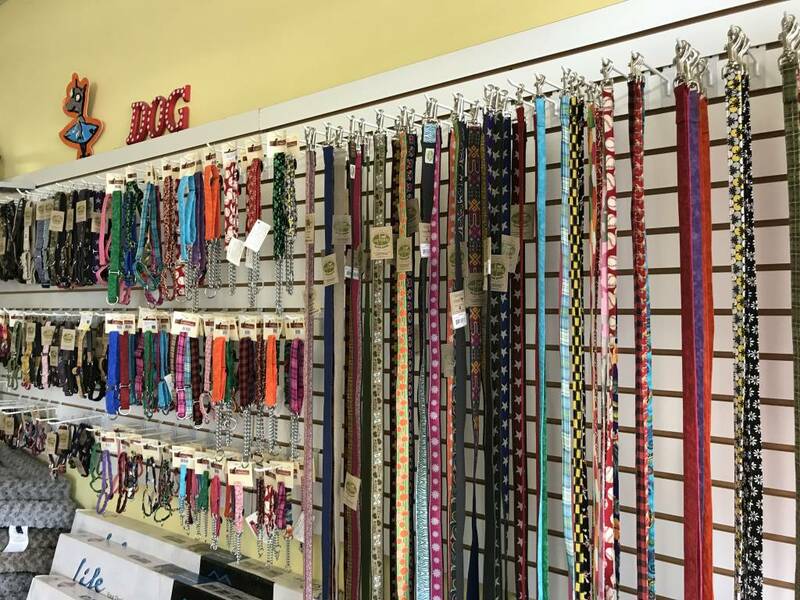 We've got everything you need to give your pet a new leash on life! First off finding the perfect collar is essential for your pet! Your dog's behavior is important when determining what type of collar is right for them! For example dogs who are more prone to pulling and who have a tendency to choke themselves are the perfect fit for martingales! These collars are considered a limited choke or training collar and are a favorite amongst trainers. They are made with loops rather than buckles so when fitting you tighten the collar before placing it on them to where it just slips over their head. Once on, your leash attaches to the ring on the collar so when they pull the collar tightens but with a stopping point and then releases when the pulling stops. When adjusted correctly they are especially helpful for escape artist dogs because they can’t just back out or slip their lead! These collars are similar but much safer than the traditional choker collars which have no stopping point and can seriously harm your dog. Overall a fantastic tool for puppies and adults alike! Next is your traditional buckle collar otherwise known as a quick release! These are nice especially for dogs who don’t need much direction on a walk and are quick to commands! Because they release quick they are also perfect for situations where other dogs might be around in a park environment! This way if anyone's mouths were to get caught you can quickly press the release mechanism to unhook anyone! Harnesses are another great option for your pet! These come in a variety of styles but with one thing in common, they stay away from the neck! These are perfect for your pets with necks that are maybe the same size as their head or any pups that aren't big pullers. While harness give you a lot of control to pull back, for a larger dog they dont always help to stop them! Dogs with sensitive throats or issues in their neck would get a lot of relief from these! Single, Double, Over the shoulder or even waist leads can be great for walks or even jogs with your dogs! Most start at 6ft so it gives you the perfect distance for you and your pet without letting them get away from you. One lead that we tend to stay away from is the flexi. These make it hard to control your pet and most end up not being paid attention too! All collars and leashes are not made equally, quality makes a difference! Cheaper collars means cheaper materials that don’t last nearly as long as their counterparts! That’s why with any of our collars you know that you and your pet will have a great start to your new year!